The Agent ConsoleVirtual Contact Center's browser-based graphical user interface (GUI) used by Agents to manage customer interactions. 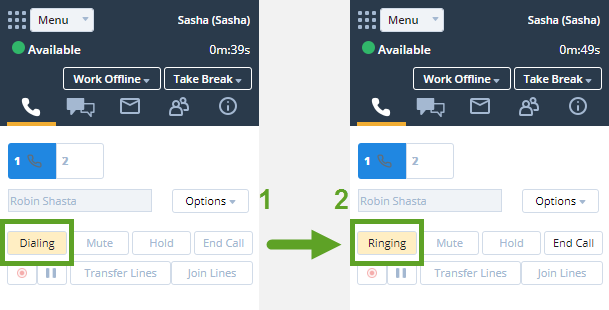 uses a two-step process to dial an outbound call. After you type an external phone number and click Dial , the Agent Console dials your agent telephone number. After you answer your agent telephone, the Agent Console dials the external phone number.